Jeff Davis is a St Louis native of 33 years who has worked in customer service orientated fields for the past 15 years. 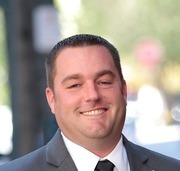 Jeff specializes in sales, first time home buyers, listings, and investment property. He understands that buying or selling real estate is a process and approaches his business with a positive customer first attitude. In his free time Jeff enjoys attending a wide variety of sporting events and live concerts.